Bharat Sanchar Nigam Ltd has a surprise for their users! The surprise is the users who are using the company’s network but not internet services will be offered with 1 GB of free data, as per the PTI reports. The aim of Pan India move is aimed at encouraging digital India campaign and also the number of BSNL Internet users in prepaid mobile service. 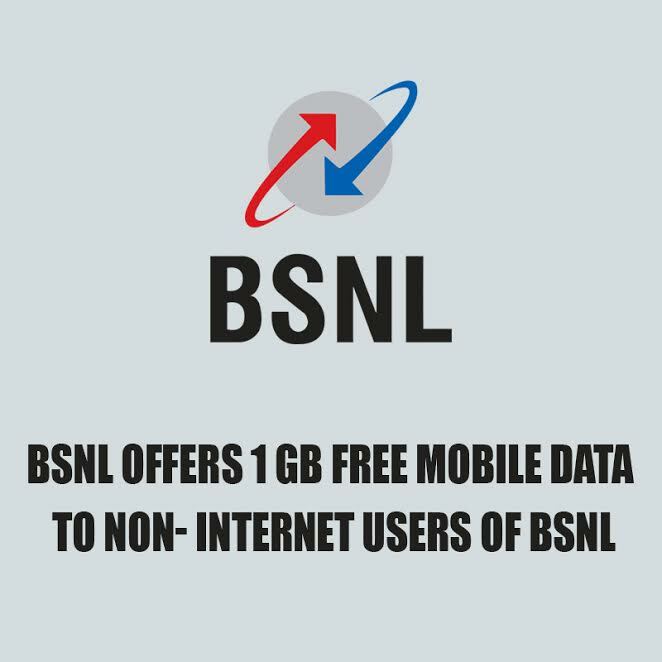 In one its statements via PTI, BSNL said, “On pan India basis BSNL offers 1 GB free data for the smartphone users who are not using BSNL GSM data services. The intention of this offer is to promote number of internet users in BSNL network”. This comes in contrast with Reliance Jio’s announcement of Prime membership programme. Jio has till now 100 million subscribers as per the company itself, it says it is the largest network in India. In competition with Jio’s offers, BSNL then launched a plan that offered 2 GB of 3G data per day and unlimited calling for Rs 339 but only within its network. And this plan had a validity of 28 days. Whereas Jio is providing 1GB of free 4G data each day and unlimited calls till March 31st to any network. BSNL also believes that the data of 2GB per day is the best. Apart from this, BSNL users will also be offered with 25 minutes of free calls to other network each day. And after the completion 25 minutes, users will be charged 25 paisa for per minute call.